Ours was lots of fun. Bryce and I had a weekend full of quality time together, which was so nice, as he has been traveling quite a bit for work this fall. 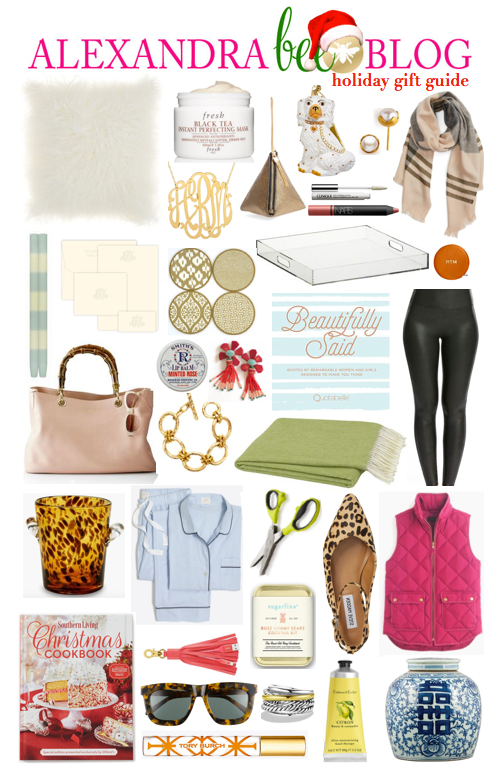 I also was thrilled to have plenty of time this weekend to create my ladies' holiday gift guide. I decided, rather than doing several separate guides, to condense it into one bigger guide this year. I still worked hard to come up with an assortment (mostly under $100!) to please all the ladies in your life, though! I did skip the little lady version this year. I always enjoy creating that one, but now being a few years removed from the classroom and also not a mama yet, I thought it best to leave the kid guides to the "pros." I hope you have some great new shopping ideas! I do love creating these each year, and usually end up making my Christmas shopping list in the process! This guide has many items I already own and love, and then, the rest is filled out with items I'd love to have myself! It does have affiliate links, meaning I can earn a small commission if you make a purchase after clicking, however, as always, you can be certain that what I share here is genuine. You'll also see that some of the items I share have no affiliate link, because I want to share great gift ideas with you, regardless of whether or not I make a dime! I'm hoping to have time tonight and tomorrow night to put together a gents guide, as well! I always try my best to have these created in time for Black Friday sales (some of which I noticed have already started early). Who do you have the hardest time shopping for? For those of you longtime readers, do you like this new condensed guide? I love your gift guides, and I'm glad that they are back this year! I also appreciate that you're doing them before Black Friday because I'm convinced that if you can figure out what you want before the sales, you might actually save a little bit of money! I like your condensed gift guide! You have so many good picks, and there's something for everyone! I like the condensed guide and that you tried to keep items under $100. Everyone love things that are not only cute but budget friendly. I already started some of my shopping to avoid the Black Friday craziness this year.